Traveling from Bolivia to Argentina? 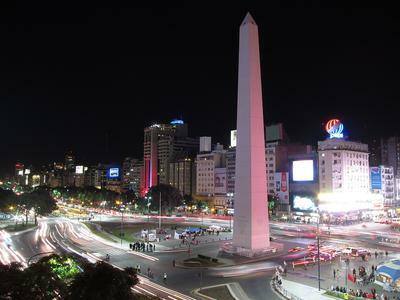 Read about this new Argentina entry fee! Monday, 28 December 2009. As of today Argentina will charge a new entry fee to foreigners coming from any country that requires visas from Argentineans. The Ministry of the Interior states Argentina is not requiring a visa but rather, is calling this a "reciprocity fee", indicating that Brazil and Chile also charge similar fees to foreigners from countries that require visas of their citizens. This will affect foreigners from 22 countries including the United States, Canada and Australia. In its initial stage the fee is being applied only for those entering through the Ezeiza international airport (30 Km south of Buenos Aires). The amount you will be charged varies according to your country of origin and will be equal to the amount an Argentinean must pay to acquire a visa to enter your country. You may pay in US Dollars or Argentinean pesos at the current daily exchange rate, or with a credit card or travelers checks. Join in and write your own page! It's easy to do. How? Simply click here to return to Argentina.